So this is the bit where we tell you we took a week off from our busy schedule to hike troll-infested Icelandic fjords. We could convince with reports of minus 12 degree temperatures, 40 mile an hour winds and several feet of snow that we were just a stones throw away from the arctic circle, feasting on pickled shark and bathing our sore feet in geothermic pools. In reality we discovered that those conditions can all be found just a 20 minute drive north of Cardiff (shark excluded). 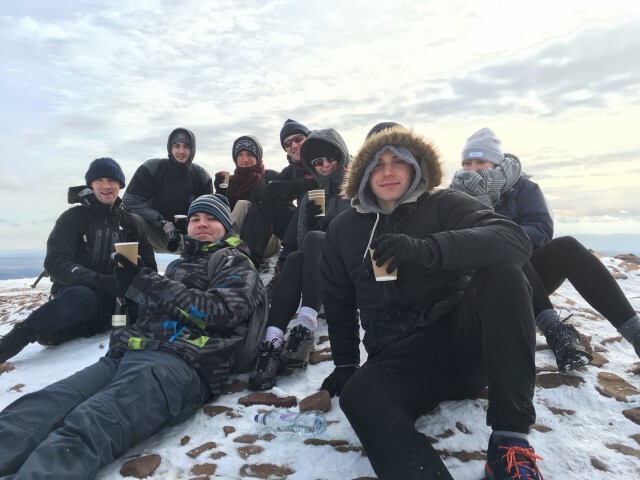 Fanatic took one of our (hopefully) bi-annual away days to the Brecon Beacons. 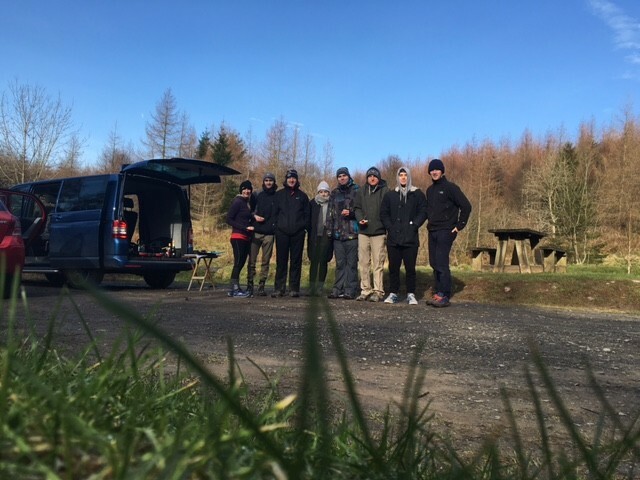 The temperature in the sheltered car park was already sub-zero as we huddled together around a coffee and bacon roll, little did we expect the conditions we would find as we climbed over 400 meters to the summit. 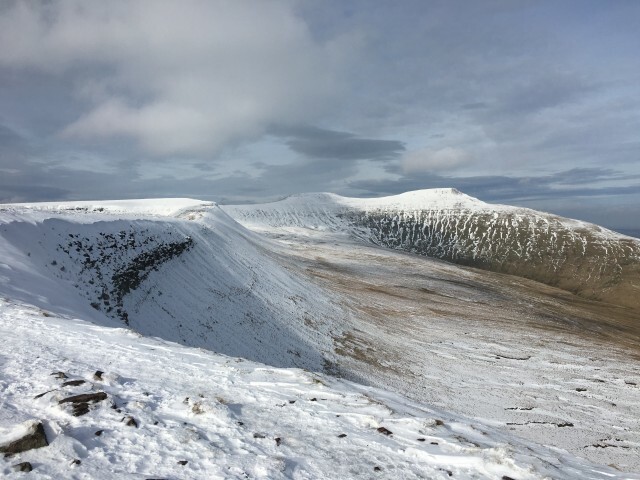 Although it didn’t seem like it much at the time, we were very lucky we caught Pen Y Fan on a ‘nice’ day. The temperatures and rain the next day could have made the trip impossible, where as we were treated to stunning views and a few prize moments of sunshine. 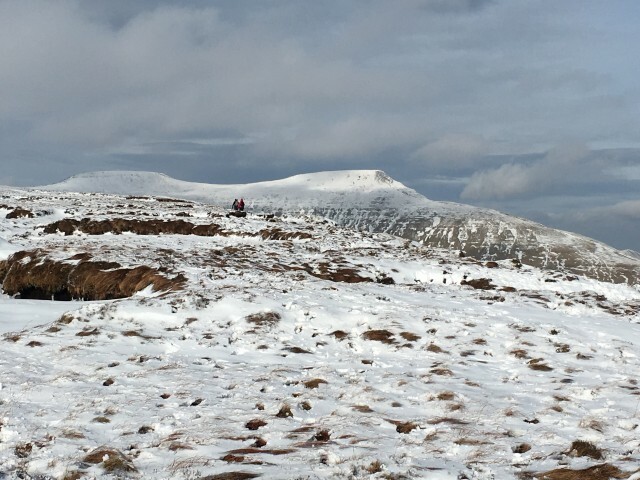 Pen Y Fan’s 886m summit is the highest in South Wales, and it certainly felt like it on the day. Trekking for over 3 hours through snow made it a totally unique experience for the team with the relative warmth and shelter of the car park feeling like a unsurpassed luxury compared to the numbing conditions at the peak. We managed to sit for long enough for our hands to become entirely unresponsive and enjoy some champagne courtesy of our clients Lime Venue Portfolio. The whole team is still in awe of the guy who volunteered to take our group photo. Seemingly carved out of the rock itself and gloveless, unaffected by the weather and still with enough dexterity to press the button on Ian’s phone. He’s probably still sat there, only just starting to feel a little chilly. We thawed out eventually (sometime after we got back to Bristol and enjoyed a three course meal), but it was a great way for the new members of the team, myself included, to get to know everyone a bit better. Our next away day will probably be slightly less life-threatening, hopefully with more sun and beaches.